Cloud forests. Pirate stories. Is this fried dough, or a fritter? Holy coastline. Handicrafts. Infrastructure. Sloths! Lush doesn't describe it. Pacific sunrise. Atlantic sunset. Why are my mental pictures always better? Colonial-era ruins. Where the wild things are. Kaleidoscopic. Anyone can go to Panama. You’re going to experience it. Home to sun, surf and storied waterways, no visit to this country is complete without a journey down the Panama Canal. 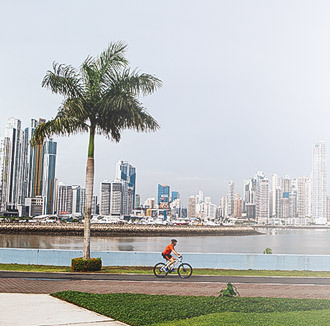 Witness the man-made marvel that revolutionized international trade in the early 20th century, then explore Panama City as it stands today—a bustling hub of commerce that's dotted with skyscrapers and historical architecture alike. And when you retreat from the coast, you're in for an even greater adventure: a look inside Panama's boundless rainforests and national parks, indigenous villages, local agriculture, and art. Similar to its population and ecosystems, Panama's cuisine is a melting pot of menu options. Sample fresh seafood, plentiful meats, and fried starches before indulging in native fruits like guanábana or raspao (shaved ice spiked with condensed milk). 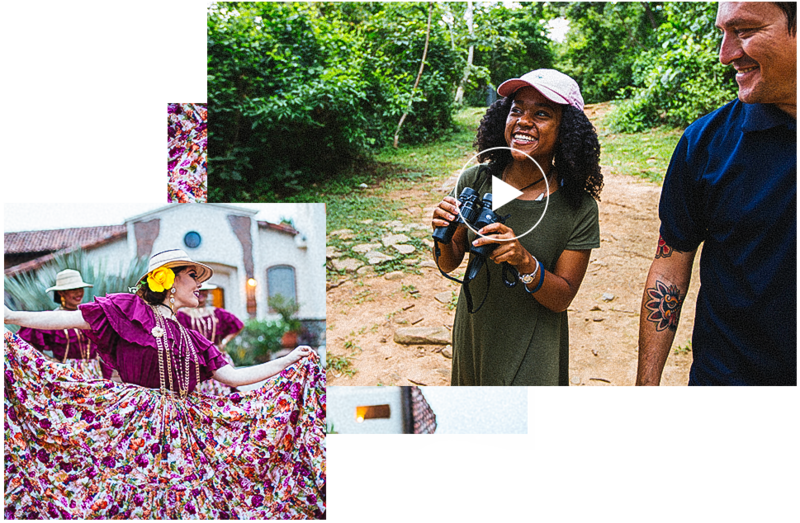 Panamanians are among the happiest people in the world, and it shows in how they welcome visitors to their tiny slice of paradise. Ask and you’ll find the nation’s seven distinct indigenous groups have a wealth of knowledge on ancient rituals and artesanía to share. 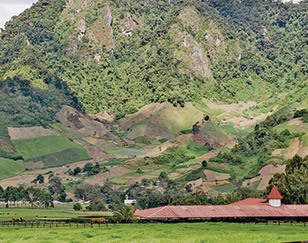 Comfortable with its role as the corridor between North and South America, Panama is decidedly dual-natured. A mesmerizing mix of the past, present, and what could be, Panama houses a culture so divergent it threatens to swallow you whole (in a good way). On tour, every detail is taken care of so you can relax and enjoy the experience. Your Tour Director is with you around the clock handling transportation, hotels, and meals while also providing their own insight into local history and culture. 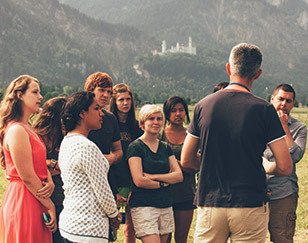 And expert local guides provide detailed views of history, art, architecture, or anything you may have a question about. All to ensure you and your students have an incredible experience. There’s so much more to this isthmus nation than its eponymous canal. Discover it all on your in-depth tour—from the bustling art scene to the country’s only soapstone mine to exotic flora and fauna. 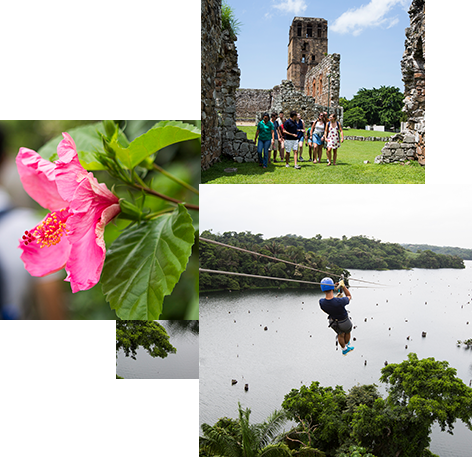 Journey to the heartland of central America to experience three countries with cultures all their own. 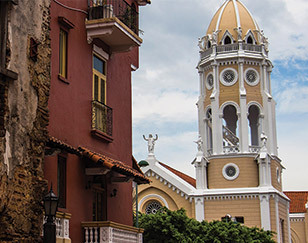 Explore Panama City’s arts and engineering marvels, then see colonial architecture in Nicaragua and a wonderland of plant and animal life in Costa Rica. Not sure where you want to travel? 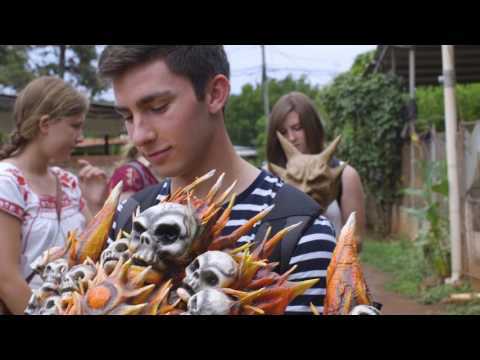 Check out all our tours—from Europe to Asia, South America to the South Pacific.